Columbus Has No Offseason is an ongoing blog series from the Sports Commission, showcasing Columbus’ role as a top sports destination, from our hometown teams to the premier sports events we bring to the city. Whether you’re a die-hard fan scoring the game from your seat or just kicking back on the lawn during Dime-a-Dog Night, there’s something nostalgic about Columbus Clippers season coming back each spring. As the Clippers prepare for Opening Night on April 4, the storied minor league franchise is also celebrating the start of its 11th season at beautiful Huntington Park. Repeatedly named one of Ballpark Digest’s Best of the Ballparks and host of the 2018 Triple-A All-Star Game and National Championship, Huntington Park has become a staple in the Arena District’s sports landscape and beyond. With the help of Columbus fans, the Clippers celebrated the anniversary by identifying the Huntington Park Era All-Star Team which will be immortalized in ten limited-edition bobbleheads given away at various games throughout the season. From up-and-coming-prospects to current major league all-stars, Huntington Park has had a fair share of elite players come through the gates. Here’s a closer look at the Clippers who define the Huntington Park Era. How many of these Clippers legends have you seen at Huntington Park in the last decade? 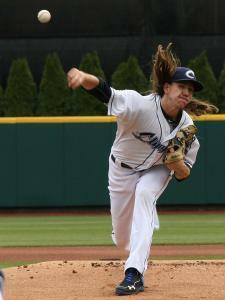 Before making a name for himself in the Cleveland Indians’ rotation, Mike Clevinger was thrilling Columbus fans at the Triple-A level. Clevinger took a no-hitter into the eighth inning of his Triple-A debut, which happened to be a series-clinching win in the semifinals of the 2015 International League Playoffs. 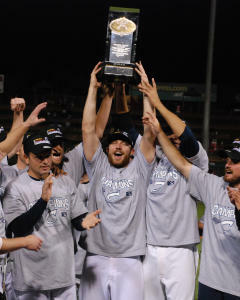 His very next start, with 7.2 innings pitched and seven strikeouts, led the Clippers to their tenth Governor’s Cup title. Relief pitcher Shawn Armstrong holds a little piece of Clippers history with the sixth-most saves (35) in franchise history. The closer dominated his way to 192 career strikeouts in a Clippers uniform, All-Star Game nods in both 2015 and 2016 and a 1.84 ERA in 2016. In just a couple seasons, Eric Haase has started to feel like a staple behind the plate in Columbus. You may remember his 2-run homer in front of the home crowd at Huntington Park at the 2018 Triple-A All-Star Game, which came as no surprise to those who watched him finish the season with 20 home runs total. He led the International League in caught stealing percentage in 2018 (48.5 percent) and is sure to continue to put on a show on both sides of the ball in 2019. Now the starting first-baseman Milwaukee Brewers, Jesus Aguilar’s time in Columbus was defined by consistency as he played in over 100 games for three straight seasons. He finished his Clippers career as a top ten leader in homeruns with 68 (fourth), doubles with 86 (sixth) and hits with 393 (ninth). Part of the team that won the Governor’s Cup in 2015, Aguilar was a Postseason IL All-Star who held a career fielding percentage of .997 at first base. Before becoming earning a Silver Slugger Award in 2017, Jose Ramirez was flexing his versatility in Triple-A Columbus. Ramirez made starts at five different positions over two partial seasons with the Clippers, playing primarily at second base. In 104 games in Columbus, Ramirez compiled a .298 average and 34 stolen bases. Francisco Lindor’s time in Columbus was brief as he made his way to a brilliant Major League career, but the No. 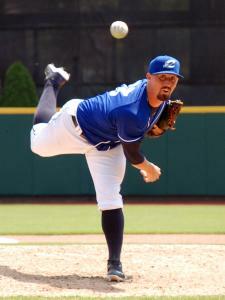 1 prospect in the Indians organization still found success with the Clippers. 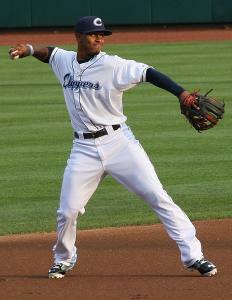 Lindor totaled 110 hits in a Clippers jersey and earned an International League Batter of the Week honor just before his contract was purchased by the Indians in June 2015. 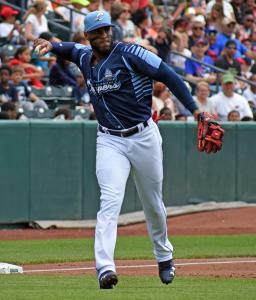 Yandy Diaz became a standout for the Clippers in 2016 when he took the International League’s Rookie of the Year award, ranking second in the league in hitting with a .325 average and first in on base percentage (.399), but his presence on the plate only grew from there. The third baseman returned to Columbus in 2017 to capture the league batting crown (.350) and finished his Columbus career as the all-time leader in on base percentage at .415. 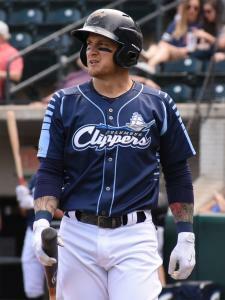 A fan favorite, Brandon Barnes had a huge impact during his 2018 season Columbus. 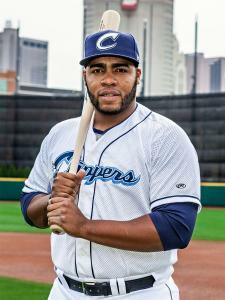 The 2018 Clipper of the Year was the first Columbus player to drive in and score more than 75 runs since 2004. He was selected for his first All-Star Game in 2018 and finished the season with 39 doubles, the most in the International League, and 81 RBIs, second in the league. 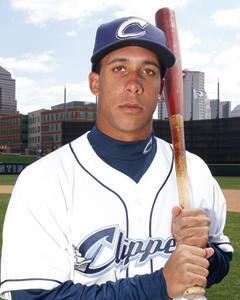 Michael Brantley is the earliest Clipper to make the list, having played center field in the very first game at Huntington Park back in 2009. He finished that rookie season with 46 stolen bases, a glimpse at the speed he would go on to show in the majors. 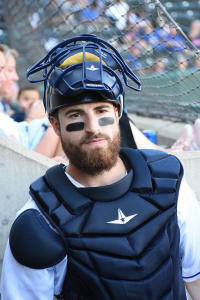 His season average climbed to .319 in 2010, earning him a permanent call-up to the Indians. Right Fielder Chad Huffman flashed his power again and again during the 2011 season, including a 3-run home run, 10 RBI performance in April of that year. 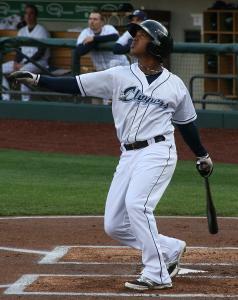 He hit .355 during the 2011 postseason to push Columbus toward their second Triple-A National Championship. Despite leaving Columbus in 2012, Huffman made a comeback to Huntington Park in 2018 to win the Home Run Derby at the Triple-A All-Star game. With so much talent stopping through on its way to the big leagues, and some of the All-Huntington Park team still on the Clippers roster, you may see the next MVP come through Columbus this season. Join the Clippers as they open their 42nd season on Thursday, April 4, against Indianapolis. Play ball!